As some of you may know, New York Fashion Week marks the start of the crazy thing that is fashion month. Some say that the fashion week normal constraints are dying, but the one thing that has always been flourishing is the street style. With photographers risking life and limb to get that perfect shot, (yes that means going in front of moving vehicles in order to get that right shot) it could be considered crazy, but that’s besides the point. 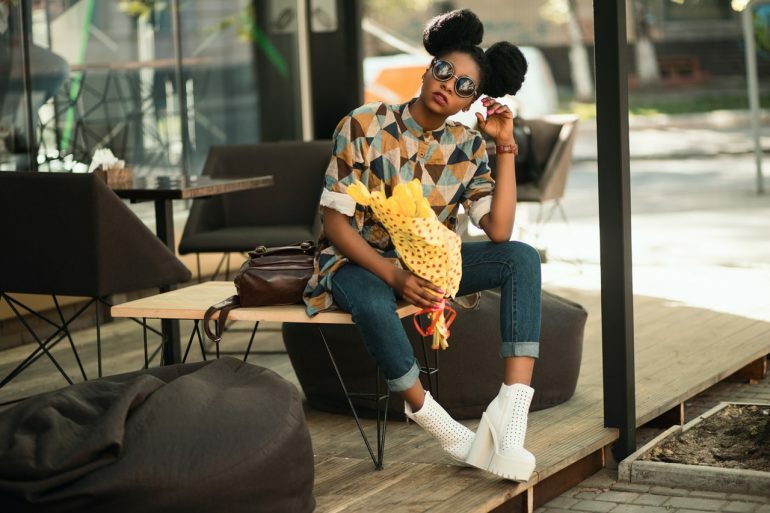 Street style has become something very integral to the fashion week formula, with celebrities, influencers and editors strutting everything they have, and sometimes changing outfits 2 or 3 times a day. We can’t even find enough clean underwear to get us through the week, and if you’re the same, we thought we’d drop you some free tips and tricks to learn from this year New York Fashion Week. You know that oversized coat that you bought that was way out your budget but you loved it too much so you just had to get it? Well luckily for you they are still very much a trend according to the street style crew that goes about every fashion week. So, it was a good investment after all! We know you love your beloved skinny jeans more then anything, and you’ve got several pairs in the same colours because you think they fit “differently”. Unfortunately for these types, it may be time to get another pair of jeans that aren’t skinny. It seems the slim fit it really coming back into style. So, you might want to reconsider those skinny jeans after all. For those of you who only wear the colour black: look away now. For those of you who embrace colour, hoorah! Finally, the street style stars are favouring colour more and more. Fur has always been a bit of a touchy topic in fashion, especially now that certain brands such as Gucci and Tom Ford have decided to stop featuring it in their collections. With fashion becoming more sustainable it would make sense why the fashion community would opt for the faux fur option in the winter times. Well checked, striped or just some sort of pattern. Everything seems to have some sort of pattern for New York this season. So why not join in: after all, it’s a bit of a different look isn’t it.